EMUS4U is an unofficial installer that offers third-party apps and games, and a huge choice of other content. Everything is “FREE,” and there is no need to jailbreak. Note: New Updated Video Tutorial after post. Wait; when the installation is done, the app icon is on your home screen. Enjoy your free apps now. New Emus4U download has been given full APK support, so the app installation files work on Android tablets and smartphones. Android users are now being given the opportunity to experience modified apps and games “WITHOUT ROOTING” their devices. For users of Microsoft Windows PC and Apple Mac OSX computers, follow the Emus4U download and installation tutorial linked here. When you open this app installer for the first time, you are likely to encounter an Untrusted Developer error. This is nothing serious; Apple does not trust unofficial developers. Here is how to fix this quickly. 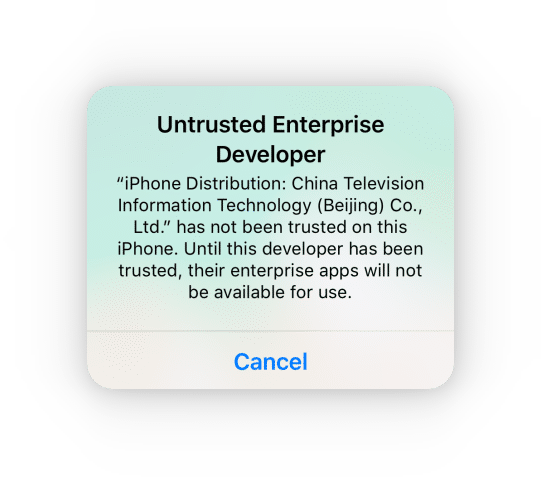 Emus4U app installer has proven itself to be a reliable and safe alternative to Cydia, but there is no getting away from the fact that it is not official. Apple doesn’t like unofficial apps, and they will do all they can to stop you using them, including revoking the app certificate. The app installer will crash, and nothing will work. 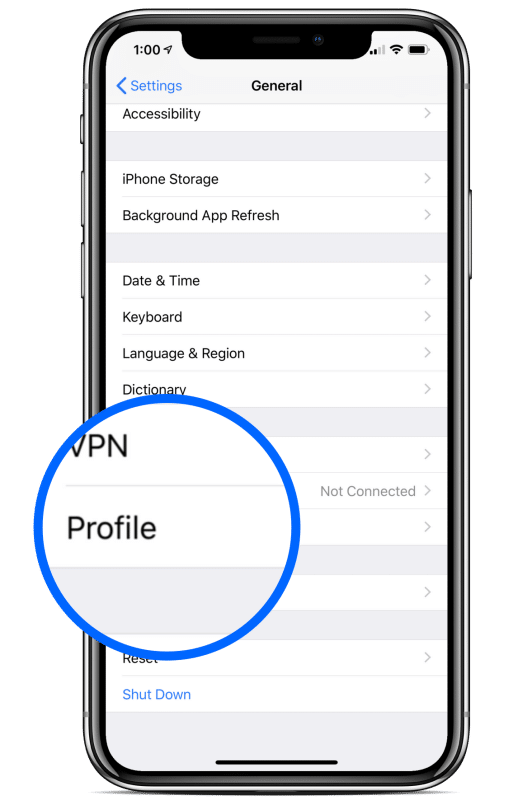 To save yourself the hassle of having to reinstall everything, install a VPN when you install the installer and your certificate will be protected from Apple. 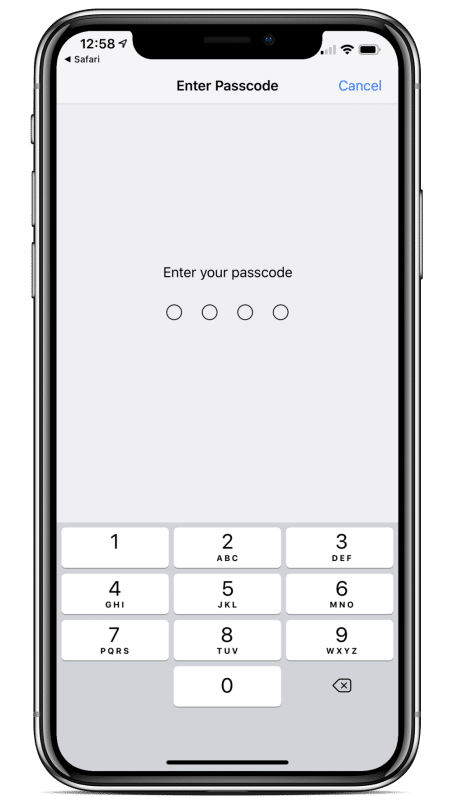 Is Emus4U App Safe to Use? This 3rd party app store offers a lot of content to choose from, providing a decent alternative to jailbreaking your device. Do let us know how you get along with this app installer and what you think of it in the comments section below. Thank you emus4u Team for this awesome app. I am loving it since day of its release. Its by far the best App installer ever released. Cheers !!! We like you too 🙂 Cheers !!! Will there ever be a tweak for NHL and MLB apps???? We have it in the TweakBox appstore. They are doing it better with the games. Hey I was just wondering how do you get these ++apps? Also how can you “tweak” these apps as well? iphone 5 it possible download and install or not ? It is being restored . All certificated were removed , it will be restored today !! Stay patient. Are you installing the profile correctly or it crashing before you click Install option ? I downloaded with no issues but when I open the app it just shows a white screen. Suggestions? To fix white screen issue , do this . I have the movie play box app but the system has been down for two weeks. Do you have an update when it will be back online? Hi , what error do you see ? My app only shows a white screen when I open it. Hey I was wondering if you guys are going to update the ufc++ app also? It’s been down for probably 3 weeks now. there is on update from the mod developer, so no for the time being. Am trying to download moviebox and bobbymovie. All I get is the app with “ waiting ..” at the bottom. I delete and re-download them but I get the same thing. Hey guys loving this app so far. But there is a problem when I go to redownload moviebox due to it giving me an issue whenever I open it. I tried to use a different movie/tv show app like bobby movie but it doesn’t download. It just says “waiting” until I press on it then it says “loading…” Any suggestions? Hey Kimo, get the moviebox app from http://moviebox.store . There you will get alternative options to download the app. Hi , I need connect my dslr to iPad 2 but online advice me to do jail break , do u have any solution to help me on this issue?? Hi I have a issue with the app, I try to download Spotify and movie box but it tus stay on “downloading” but profusely it works. I’m trying to get Delta or Gba4ios to download but the greyed-out icon and ‘waiting’ is all that shows up and it doesn’t seem to be downloading anything. Is there an issue or do I need to wait a bit for something to happen? yes there was an issue. please try now. I’m trying to download moviebox and I can’t even open the home page. It’s just a white screen. My MovieBox app kept crashing so I tried to redownload it from emus4u and it won’t download now. How can I fix this? Is there still a problem with the MovieBox app? It finally downloaded and installed but now there’s no content on the app. The MovieBox app has now downloaded but now there is no content showing. The Moviebox app has no contents showing after I download the app. The MovieBox app still is not showing any content. Emus4U app only shows blank. It will not show any apps. Just a white blank screen when opened. And I’ve redownloaded it many times. Movie box still has no content! How to install it in android? not yet , but if demand increases we will add it to our store . alright we will add it to our next task. may take some time . Hi , where’s the download icon , the config 1 & 2 doesn’t work either . Takes me to a blank white screen . Any help please ? Working perfectly before midnight also . sorry , apps were revoked. will be working in 24 hrs . stay tuned. it will work. please wait a day . should work now. check again, and also do this Go to Safari > Clear Website Data, then re-download spotify++ . sorry to hear about that , our ipad pps were revoked by apple 2-3 days back , you need to Go to Safari > Clear Website Data, then re-download the apps you downloaded earlier . However Movie Box, did not work for some while and will not download, I did like using it. Is it totally unusable or are you working on it ? hi , moviebox has stopped being developed. try alternatives like mediabox and cotomovies . Apps are not working and I have uninstalled and installed them over and over again and nothing. What’s wrong with the apps? Hello , our apps were revoked, you need to Go to Safari > Clear Website Data, then re-download the apps. I had the app installed before and it was working fine, however it’s crached recently. So I deleted it and reinstalled again. When I open it’s blank !!! No contents !!! hi Muhumed Bashir. our app was revoked. Please wait for a day to fix this. Hi, has Spotify been revoked? Hi Spotify is still not working for me. When I download it it doesn’t even show the image. It’s just blank. apps were revoked. we have fixed it now. I have cleared my safari and reinstalled but when I try to download mediabox or coto movie after loading and install it’s just a blank balac box what do I do. Please help. I tried yesterday and uninstalled tried again today and the same. Popcorn time won’t download on my phone i trusted the app but it just won’t install any app on my phone what should i do ? I love the app but why am I not able to download CotoMovies? I cannot download the ems4u app directly. have you cleared safari cookie/cache on mobile ? Trying to download apps for almost a week now since it had that crash on the app. But only now it keeps saying “ Unable to download “ and when I press retry it says it again after a few minutes. have tried different apps other than what I normally download. Still says it. Any recommendations ? yes this is going on for a week for use, frequent revokes as soon as we fix it. we are trying to find a permanent solution. stay with us !! thank you. we did our best. Has YouTube++ been revoked permanently? On the spotify app it won’t let me download my songs so i can listen offline, any recommendations to fix this? Have you guys fixed it yet because I’m in need of listening to music again. Please hurry, I know you guys are working hard and doing awesome on the job but I’m going on a field trip and I need music. you mean emus4u app is not downloading ? in that case wait a while and try again after 24 hrs. it’s probably down due to a revoke. I have tried everything to install Pokemon go ++. iPad with iOS 9.3.5. It was factory reset I receive the error unable to downloaded it’s like it’s not compatible idk. you should use tweakbox app for this. it works great. Is there a revoke going on? Coto or any other apps aren’t downloading completely, just 75% and then just stays as a grey tile. Love the app! Ya guys are amazing! yes a revoke is in place. working to fix it. I need spotify like BADLY. I have used emus4u for a long time. For the past 2 days all apps are greyed out – unable to open after download. I have cleared my history and web data and reinstalled numerous times. Please advise. I downloaded POPCORNTIME and the app is gray, tried to restart and open it but it said “can’t install” and stayed gray. Same issue over here, it just comes up with [APPNAME]@Emus4u and greys out the icon, it even SAYS it is installing but then it pulls the rug and just breaks AT THE END OF THE DOWNLOAD, I have had small issues with this program, but THIS? This is starting to go a little too far…please, if your team is reading this, find out what’s causing this, and put an end to it. It’ll kill the app otherwise. Halp! After downloading gba4ios, it just became a gray screen, and I can’t open the app whatsoever. What’s wrong??? having the same problem, hope it gets fixed! Can you hack Last Day On Earth: Survival? Apps won’t finish download and they haven’t had time to be revoked because I haven’t opened them yet is the main app currently revoked? Us and TweakBox app are the two reliable sources to get a working version of the app. Keep an eye on these two apps to get it. No ETA, sorry. The certificates get revoking time and again.